Cellfire signed a definitive agreement to be acquired by Catalina last month (http://goo.gl/PRX9e7) and the deal closed this morning. 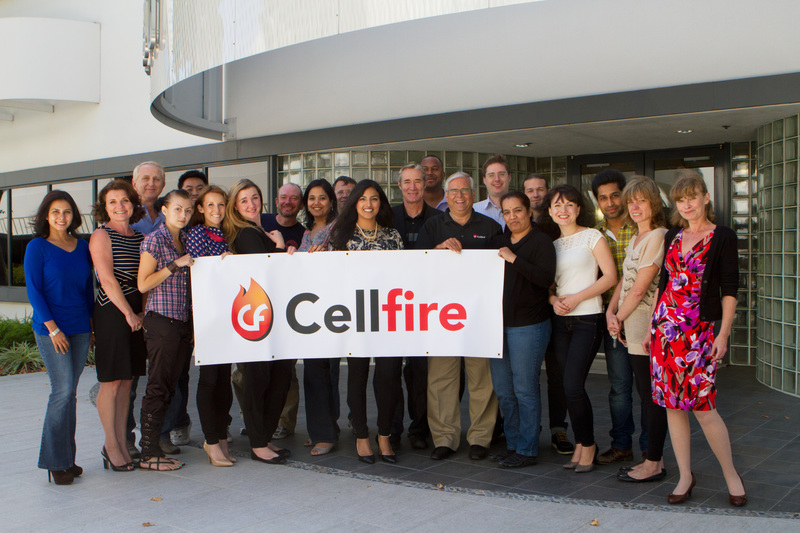 Cellfire was nine years in the making—a long startup journey. I’d like to highlight the company’s history and summarize some of the key lessons learned. A few of these lessons tie back to my other blog posts on VC Learnings. My partner at Storm Ventures Tae Hea Nahm and I jointly led the Series A at Cellfire in October 2005, and we both joined the board to provide early support and partnering. At that time, the company (called Moonstorm) had only its two co-founders and a vision that leveraged three indisputable trends: the shift from analog to digital, the shift to mobile, and the timeless desire to save money. The company’s product was a mobile coupon application, and the go-to-market strategy was to sign up retailers to offer digital coupons via a mobile app on a feature phone. This would also require signing up users and delivering enough content to keep them engaged and coming back. • The user acquisition strategy focused on getting wireless operators to market the app to their mobile users. • The strategy depended on users being able to use the app in their day-to-day lives, in a feature-phone world that viewed content and apps through a WAP browser. • Retailers were not interested unless you had millions of users and did not need to change anything at the point of sale or have their employees do anything differently. • Creating a brand and an online destination is a challenge and an expensive use of precious equity capital. Nevertheless, during the next four years, the company was able to secure two more rounds of funding. As part of these financings, Storm relinquished one of its board seats, with Tae Hea stepping off. Ultimately, the early engineering and go-to-market challenges led to a significant cash burn and the need to refocus the company and restructure the leadership team. With a smaller team, I stepped in as interim CEO and chairman of the company. My first goal was to replace myself as quickly as possible, which we did in December 2009. With Robert Drescher as the new CEO, the company put all its energy into making our handful of partners and customers—among them General Mills, Kroger, and Safeway—as successful as possible. At the same time, we focused on becoming the leader in enabling digital coupon loading onto a loyalty card, regardless of where the coupons were published (mobile or online). And we abandoned the notion that Cellfire had to be a consumer-facing brand, instead focusing on becoming the largest, most efficient digital offer network on the planet, integrating with retailers, CPGs, aggregators, and syndicate partners. The next five years became the “turnaround years,” with gritty and focused execution. Rallying around a key set of customers and partners, the company continued to win CPG (consumer packaged goods) accounts and content one at a time, while also building out its retail footprint, which now includes 88 grocery brands and 22,000 locations. The company went from delivering 70,000 digital coupons per month to 50+ million per month; the first grocery clip was in August 2008, and the company will achieve 1 billion clips by October 2014. The success of this period was capped by becoming preferred partners to Procter & Gamble for digital content and Walmart for retail footprint and distribution (another 4,300 locations). Initially, the company had continued to flirt with running out of cash, and because of its history of cash consumption, had to rely primarily on the existing investor group, which supported Cellfire through seven bridge financings. Each financing decision was difficult, as bridge financings are typically viewed as a sign of weakness. Having a cohesive board of directors (which also included one of the original co-founders) and a small but very focused management team that kept delivering results made the difference. • Understanding market friction and market timing are critically important. It wasn’t until the introduction of smartphones and true mobility that Cellfire’s vision could take off. • Customer focus, even obsession, is key. Making your customers successful turns them into evangelists for your product and your company. • Success depends on cohesiveness and transparency between the management team and the board. In difficult times, it is all about the trust and credibility built in both directions, providing a strong foundation for making the key decisions that help shape the company’s future. • There is no substitute for stubbornness as long as you have the right team, right market, and are disciplined about managing your resources until the timing is right as well. We look forward to Cellfire’s continued success as part of Catalina. Note: You may also want to view these related blog posts for more on go-to-market (http://goo.gl/ogDliX) and start up scorecards (http://goo.gl/qXheAI). Thanks, and also for your contributions along the way!